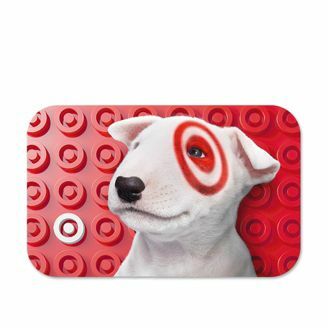 Target’s Cartwheel Digital Coupon Program – Target’s cartwheel savings program is a super easy way to save on everything from groceries, clothes to electronics. Some of the offers have significant value – many as much as 50% off. If you are new to the Cartwheel program then go HERE for an overview and to see what offers are currently available. 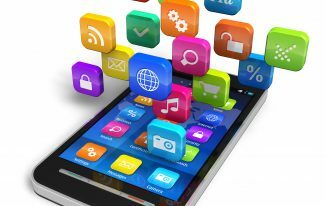 One of its best features is having the ability to search for coupons on your mobile phone while you are shopping. You can even scan the barcode of any item to see if a cartwheel coupon exists so you don’t need to search through hundreds of offers to find what you need. New offers are added daily and we NEVER buy anything at Target without first checking to see if a cartwheel coupon is available. Clearance Items – In our opinion Target consistently has the best clearance offers of any major retail store. One of our favorite things to do is hit the Target clearance sections to search for deals. Clearance items start out at 15% off and then move to 30, 50, 75 and even 90% off. How can you tell how much has been taken off? Look in the upper right corner of any red clearance sticker and there will be a small number (15, 30, 50, 75 or 90). This number represents how much of a discount has been applied. Clearance items usually start out at 15% off and are marked down even more every 1-2 weeks until they sell. Be sure to check the Cartwheel App as well as it routinely has offers of 10-20% off select clearance items. RedCard Credit/Debit Card – Want to save 5% off everything in Target (regular, sale or clearance priced)? Sign up for their free Red Credit/Debit card and use it for all your purchases. If, like us, you generally avoid high interest store credit cards then the debit card is a perfect fit for you. It is linked to your checking account and there are no fees to use this service. 5% may not sound like a lot but every little bit helps and over time this can lead to big savings. 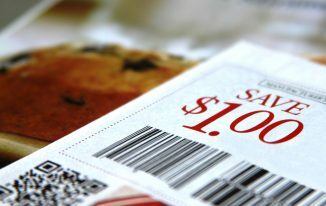 Coupon Stacking – Another great way to save at Target is to look for printable coupons to ‘stack’ with Cartwheel coupons. Target will allow you to use (1) manufacturers coupon along with any corresponding Cartwheel offer. This is commonly referred to as ‘coupon stacking’. It offers the customer two ways to save on one item. 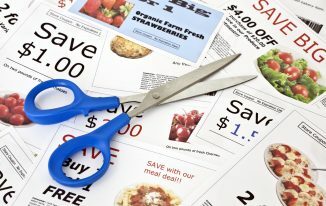 You can score some really good deals by using this savings technique. Price Matching – Possibly our favorite way to save money at Target is to take advantage of their price matching policy. Target will price match any competitor’s price on like items and that includes online retailers such as Amazon. Simply take your item to customer service and show them the lower price. We use Amazon’s Shopping Mobile App which makes this whole process quick and painless. We use this all the time especially during the holiday rush when there is more pricing competition among retailers. If you are not taking advantage of price matching then you are leaving a lot of money on the table. Put that money back in your pocket! Click HERE to see our recent article on the (25) retail stores that will price match their competitors.